One of the newest casinos in the block is the 007Slots. The site has been established by Parlay Entertainment Casinos in 2015. Curacao has given the license for this company to operate. The site is tagged to be a James Bond type of casino. Since James Bond is popular as Agent 007, the name of the company probably followed it too. This is absolutely great way to attract players. As James Bond saved the world in his movies, maybe this site will let you save and gain money too. However, this is not solely dedicated to the James Bond fan club. Everyone is welcome to experience the British feels elicited by its website interface. The background design, the scheme, and the color blended well to give a smooth and elegant style for this site. Despite being new in the gaming industry, this site has already proved its good reputation among its patriots. 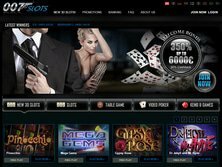 Based on casino review, the experience of playing in this site is really commendable. 007Slots bonus is impressive. Upon signing up, new players automatically get € 7 credit straight to their accounts without even depositing any money. The free € 7 can immediately be used to play the game of your choice. After wagering this free credit, maximum cash out for is € 35. New players can get 350% up to € 6000 for the first deposit. Another exciting 250% up to € 4500 and 150% up to € 3000 credits are waiting for the new player's second and third deposit respectively. As soon as you pay your first payment in the site, use the promo code 007SLOTS and you get the additional credit. For instance, your first deposit is € 250; therefore, your account will be loaded with a whopping € 875 that you can gamble for blackjack, bingo, craps, roulette, scratch cards, slots, and video poker. The same process is true with your second and third payment. 007Slots bonus is definitely considered as a very warm welcome. Another exciting promotion available is the Happy Hour. Friday is the most awaited day by the 007 Slots players because this whole day is Happy Hour. Whenever you deposit on a Friday, you will get 50% credit up to € 1000. To receive the credit, you can use the code FRIDAY007 anytime during this best day of the week. Loyal gamers of the casino can also join its loyalty program, which are in the categorized in the following levels: new player, bronze, silver, gold, and diamond. The more you play, the more you earn points that you can use to wager in other games. Referring a friend, VIP deposits, as well as blackjack weekend will also let you get another 007slot bonus. Betsoft and Parlay are doing a great job in providing high quality games for this site. As the casino name suggests, the site is recognized for its wide variety of slot games. The top performers include Diamond Surprise, Double Scoop, Greedy Goblins, Good Girl Bad Girl, Hollywood Reels, and Pinocchio Slot. Aside from these mentioned single-lines, multi-lines, and 3D videos, 007slot recently added a new batch of games that will surely entice the gamers. In addition, the site also offers table games such as blackjack, craps, keno, scratch cards, and roulette. The site's video poker has the Deuces Wild, Jacks or Better, and Joker Poker. To continuously enjoy the games, deposit more money through bank transfer, Entropay, MasterCard, Paysafe Card, Skrill, Ukash, Visa, Visa Debit, and Visa Electron. Once you earned the money you want, you can withdraw via bank transfer, MasterCard, Neteller, Skrill, Visa, Visa Debit, and Visa Electron. Currencies accepted are German and British pounds, euros, and US dollars. 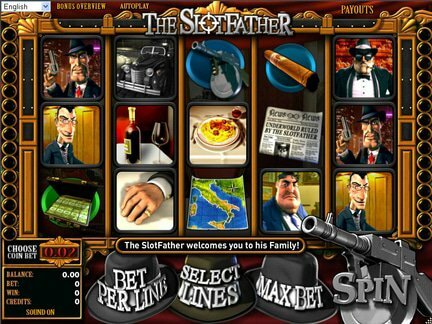 The 007 slot is well known in France, United Kingdom, and Spain. As long as the country's government does not prohibit online gambling, 007Slot is available to it. The site is restricted in the United States. A player can customize the 007slot website by choosing from the following offered languages: English, Finnish, French, German, Italian, Norwegian, Portuguese, Spanish, and Swedish. For queries, the site has built a help page containing the frequently asked questions and their corresponding answers. Players can check out the page to gain more knowledge about the site. To get in touch a customer service representative, a live chat available round the clock allows the clients to address their issues regarding this casino. There is also an email address to contact them at support@007slots.com. No phone support is available. Some of the customer complaints against the casino include failure to give the promised deposit promo credit and absence of live chat agents. There is just a minimal negative feedback on this site so the gaming site deserves a high rating of 4 out of 5.